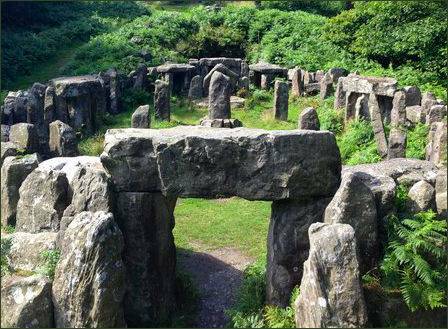 The atmospheric Druids Temple is located in woodland, high above Pot Beck and stands around 4 miles to the west of the small town of Masham. It is not a real prehistoric temple, but a folly, fashioned after stone circles and prehistoric monuments such as Stonehenge and was built by William Danby of nearby Swinton Hall in 1820. 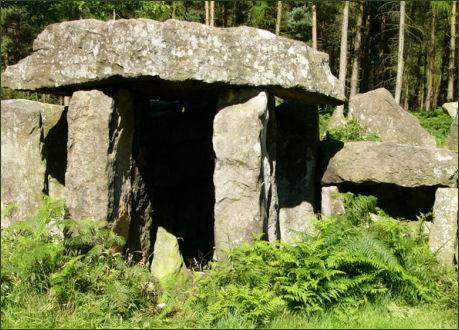 Standing deep within a private forest, it includes a large stone table, a sheltered cave and an altar stone. The temple is about 100 feet long and 50 feet wide, with some of the stones standing over 10 feet high. William Danby (1752-1832) was appointed High Sheriff of Yorkshire in 1784. He built the temple to provide work for the local population who were paid a shilling a day. Despite its origin being commonly known, myths and legends of mystic practices have generated over the past 200 years with tales of Devil worship.